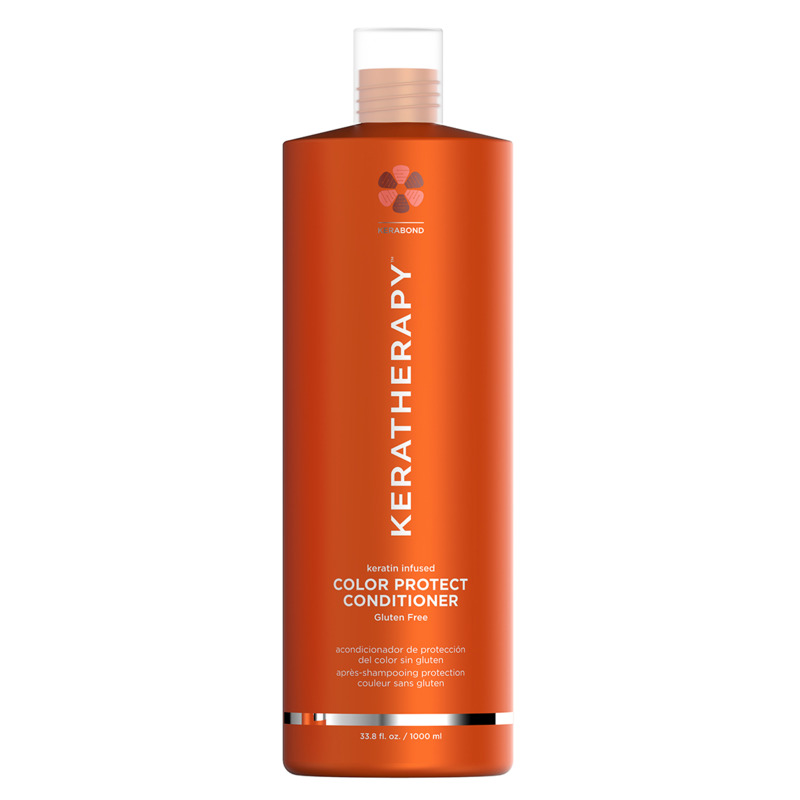 Created to extend the life of color-treated and highlighted hair. Gently moisturizes and conditions while improving elasticity. Collagen: Rich in amino acids, bonds to hair to improve strength and elasticity. Red Raspberry Seed Oil: High in Omega 3 and Omega 6 Fatty Acids, powerful anti-oxidant and natural UV protector. Work through mid-lengths to ends of hair, focusing on those areas that need more conditioning. Leave in hair 3-4 minutes then rinse. 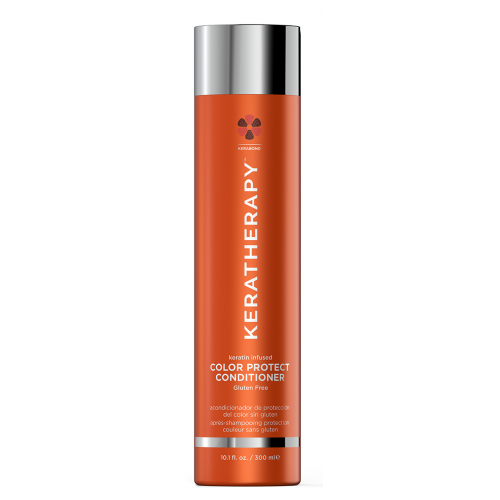 For best results, use after Keratherapy Color Protect Shampoo.